The daughter of one of the region’s most successful retail entrepreneurs has marked her first year in business with the opening of a new store and plans to expand outside the North East. It has been a full year since Jenny Peng Gillender set up website Peak Boutique, an online fashion store offering women’s clothing and accessories from a range of affordable brands. Operating from a base in Fenham, Newcastle, Miss Peng Gillender’s venture has garnered international acclaim since its launch, accruing regular celebrity shoppers as well as taking orders from around the world. The business – which has so far retailed through peakboutique.co.uk and through its eBay shop – has now opened its first store on Acorn Road in Jesmond and plans are being discussed to roll out more Peak Boutique to key cities including Manchester, Glasgow and London’s Kings Road in Chelsea. Within the next year the young entrepreneur also has designs on creating her own fashion range, to sell through her business. Miss Peng Gillender is the daughter of Wilf Gillender, who owned the master franchise of Body Shop in the North East, as well as for the whole of France, before selling his franchises back to the beauty products giant. He was also instrumental in the creation of the brand’s Body Shop Direct division. She said: “It has been a fantastic first year for Peak Boutique. We have seen more than 75,000 visitors to the site from around the world and regular orders coming from as far afield as New York and Australia. “Our clothes have been worn by a host of celebrities and reality TV stars, and we’ve attracted the attention of media across the country. “We now sell from three different channels now that we have opened the shop, which is such an exciting new addition for us as we begin our second year in business. “We have big plans for the coming months. I would like to pursue the avenue of opening more shops, and am already looking at potential locations. 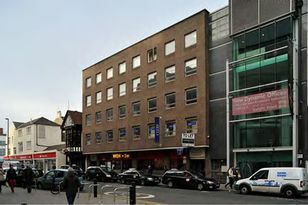 Peak Boutique has been supported since its inception by Newcastle law firm Sintons, in particular Christopher Welch, partner in the corporate and commercial team, who has acted for the Gillender family for over 20 years, and real estate partner Alok Loomba, who secured the lease for the premises in Jesmond. Mr Welch added: “In only a year, Peak Boutique has become a real force to be reckoned with in the fashion world. In addition to its thriving online operation, which is enjoying international success, there is now a store which will allow customers in its native North East to have the more traditional shopping experience.